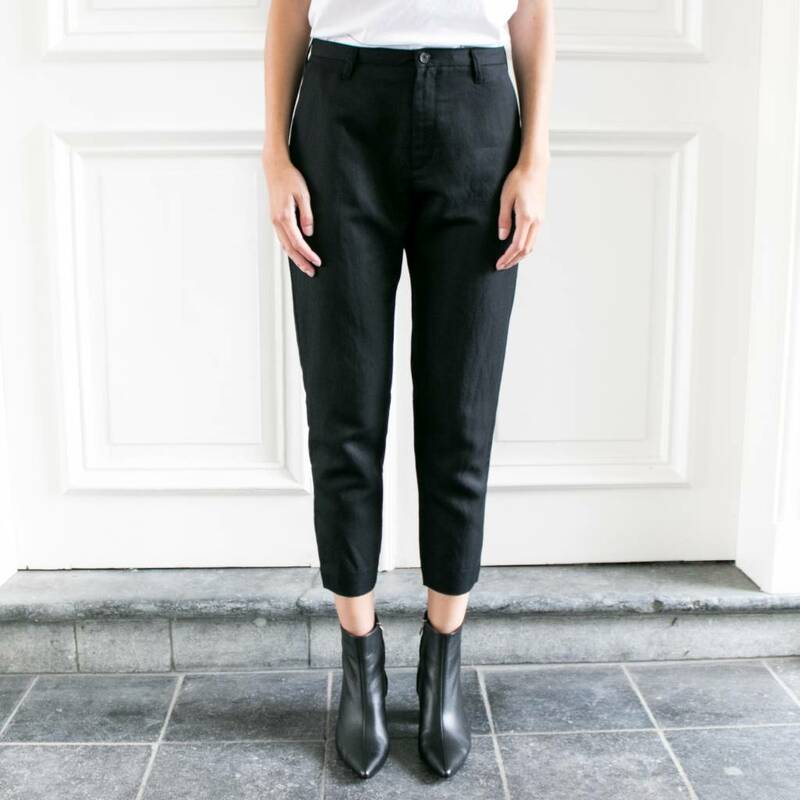 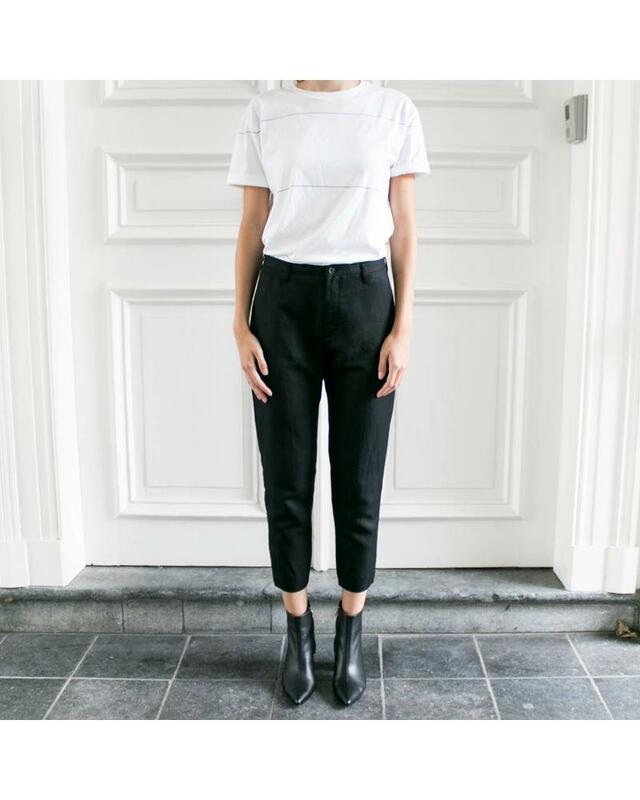 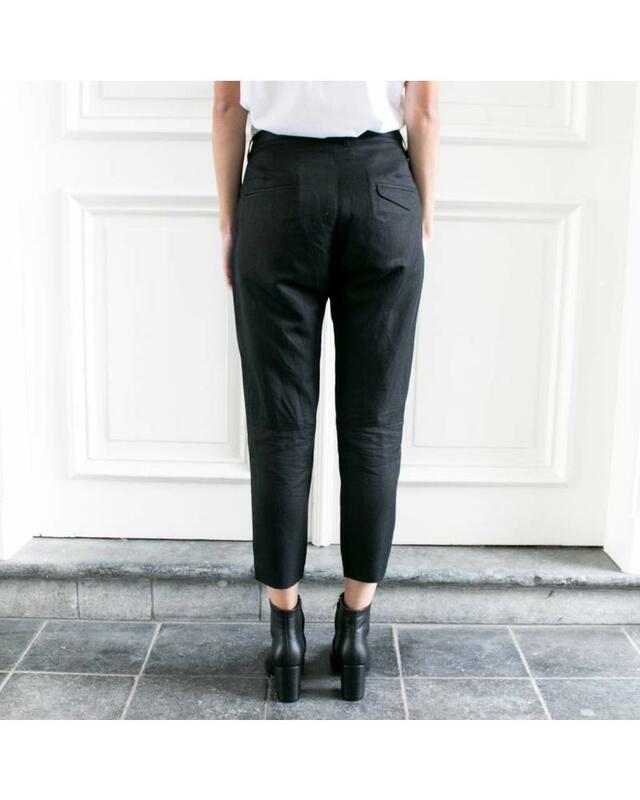 Krissy trouser is our cool bestseller. 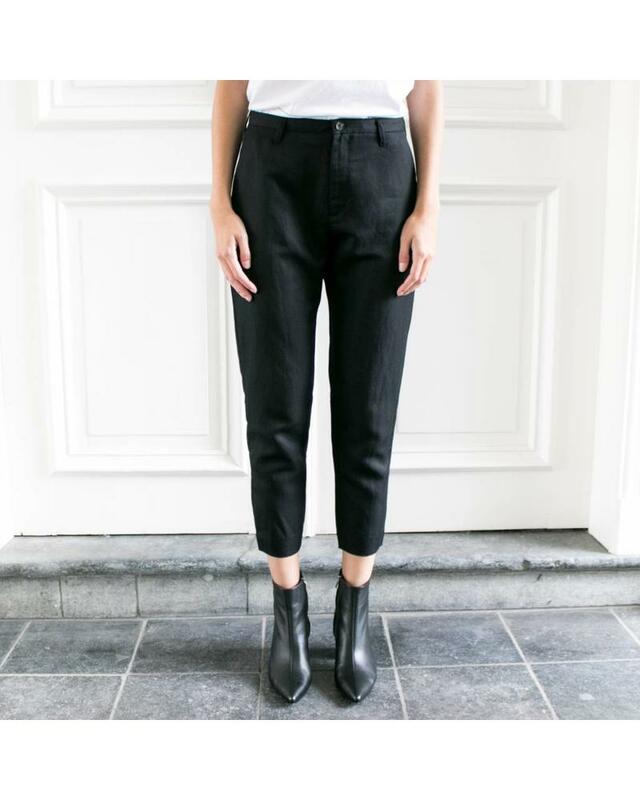 This pair is crafted in a fine, soft and airy lyocell/linen-blend. 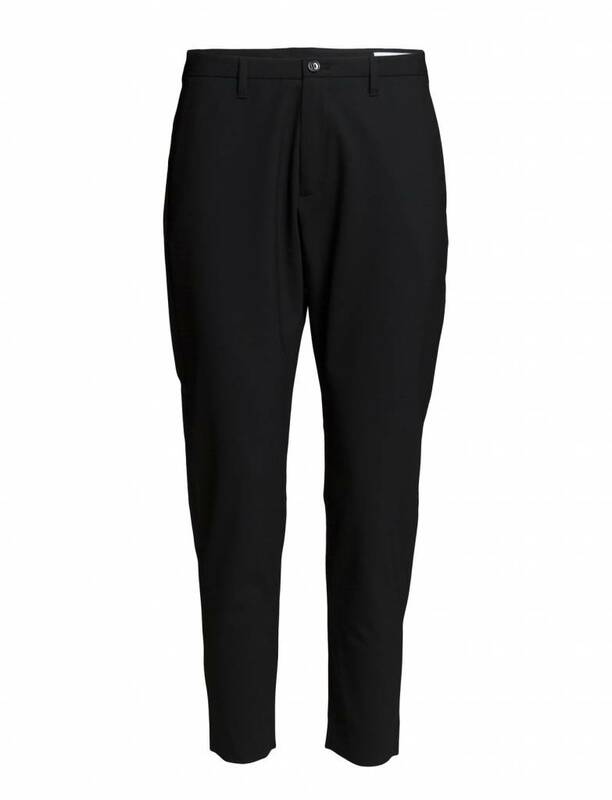 A relaxed fitted trouser with welt pockets at back and with one asymmetrical pocket flap. 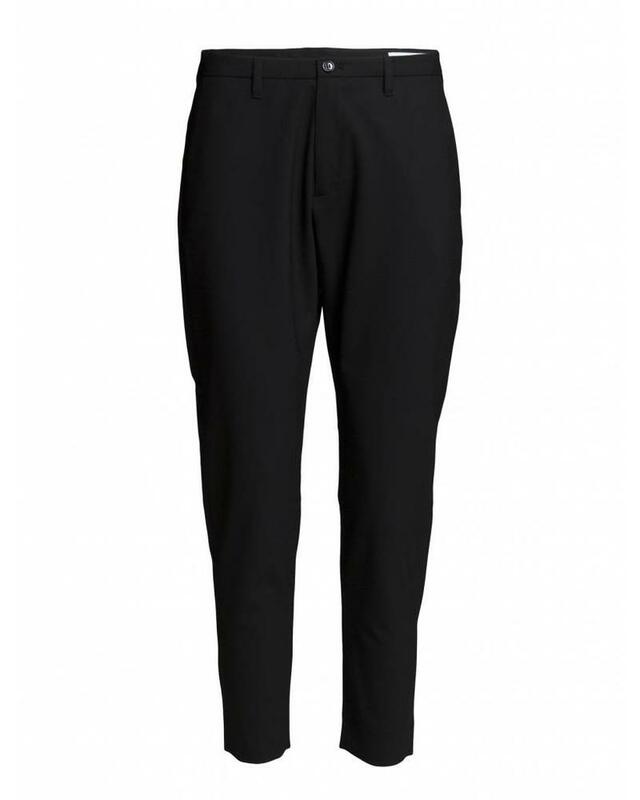 Completed with metal buttons at front closure and at welt pocket. 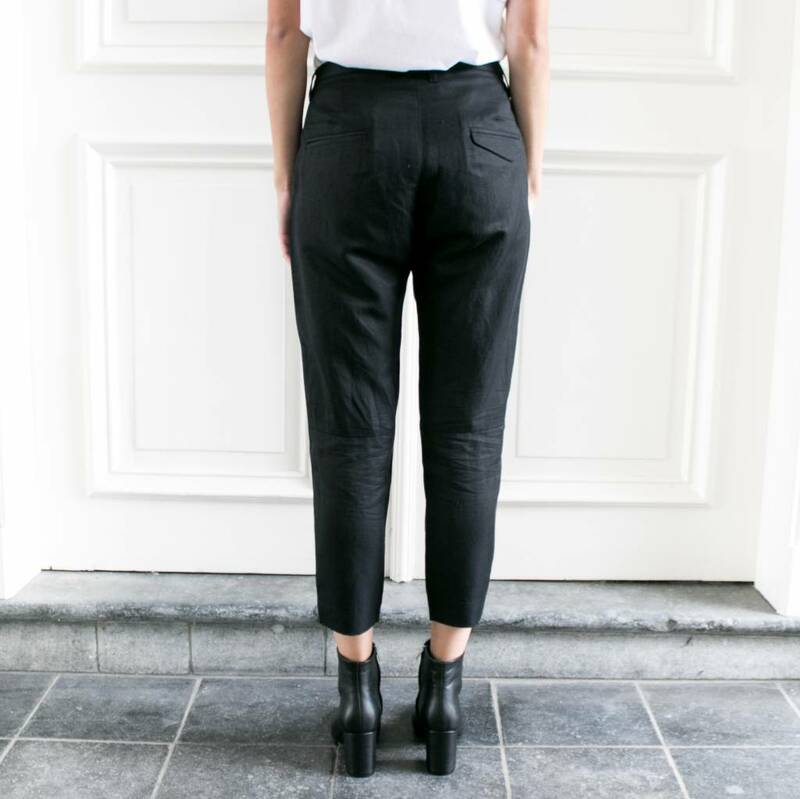 Krissy trouser comes in different many variations, seen here in black.